Let's look at another classic movie performance sadly overlooked at award time. It is 1947, and former Broadway musical star turned Hollywood comedienne and staple of film noir, Esther Howard shines in a thrilling crime drama from director Robert Wise. The film is Born to Kill, based on the novel by which it is sometimes known, Deadlier Than the Male by James Gunn. A story of murder and of loyalty. Loyalty of sister for sister, of friend for friend, of lover for lover, of detective for client, and justice for the victim. Loyalties that are, and those that should be. 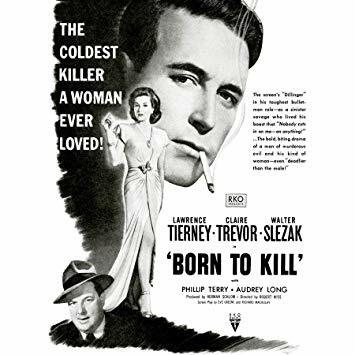 The story begins with the murder of a divorcee (Isabel Jewell) by a violent boyfriend (Lawrence Tierney). Another divorcee (Claire Trevor) becomes obsessed with this new man who has come into her life despite her feeling that he may be involved in the murder. Life gets complicated when Tierney while continuing the affair, marries Trevor's rich sister (Audrey Long). The best advice and concern of his hapless cohort (Elisha Cook Jr.) is misplaced in this emotional set-up. While caught up in life in San Francisco, back in Reno the first murder has not been forgotten. 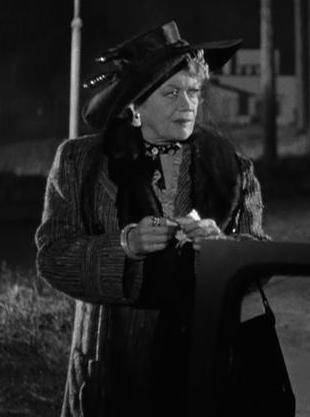 Boarding house proprietor Mrs. Kraft (Esther Howard) will not forget the murder of her friend and neighbour. She hires a private detective (Walter Slezak) to investigate. When this shady character starts holding out on his client, Mrs. Kraft takes matters into her own hands with thrilling consequences. At first a garrulous busy-body, then a good-hearted friend, Mrs. Kraft is a role that provides ample opportunity for Ms. Howard to create a memorable and award-worthy character. A determined and loyal friend who shows bravery in the face of terror and defeat in the face of overwhelming brutality. Nowadays, she'd be hitting the chat show circuit and posting clips on YouTube in a bid for a nomination. Awards help to attract notice to these outstanding movie moments, but in place of a plaque, take the word of an old-time movie buff. Read more about Esther Howard. Thank you so much for writing this! 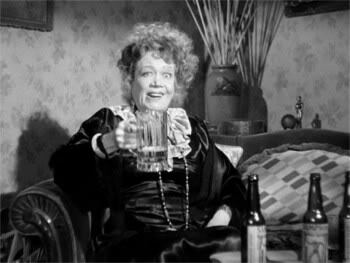 Esther Howard was my great-aunt. I have researched her career on Broadway (1914-1929) and in Hollywood (1930-1952) since I was a teenager in DC, at the Library of Congress and at the New York Public Library. Her younger brother, Robert, was my grandfather, who settled in DC. My father worked for the government. She died in 1965, when I was a baby. I have lived in LA since 1983, and I'm now a psychotherapist for creative professionals (see www.HaveTheLifeYouWant.com). Thanks again for a lovely article! My pleasure entirely. Thank you for your comments.